As the temperatures get cooler, I start to crave soup. There is nothing like warming yourself on a chilly day with a hot bowl of soup. 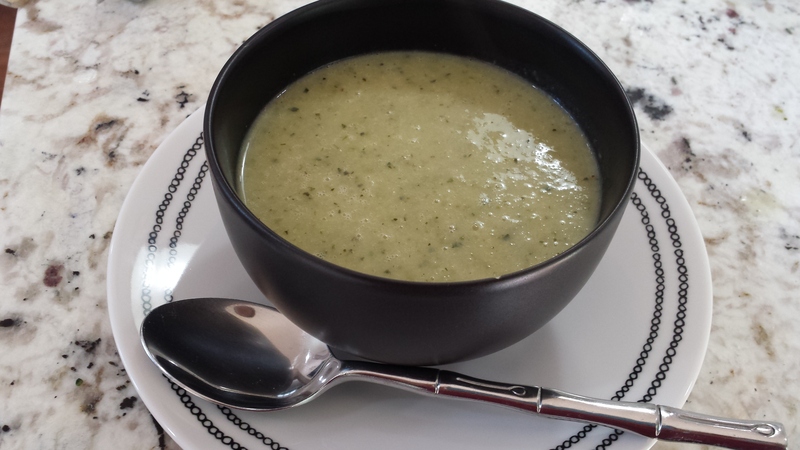 One of the soups that I’ve missed since my diet changes has been cream of broccoli soup – heavy on the cheddar please. I could eat it, but the heartburn afterwards would be a not so welcome reminder of my dairy indulgence. There are a few reasons this soup is awesome – 1) it’s gluten-free, 2) it’s dairy-free, 3) it’s easy to make, 4) it’s full of veggies. You can absolutely use fresh veggies in this recipe. I, however, was trying to use up some leftover broccoli stalks and broccoli rabe. We had been buying a lot of broccoli and it seemed wasteful to keep throwing out the stalks (we don’t have a composting bin yet), so I bagged them up and threw them in the freezer. This seemed like the perfect use for them 🙂 Note, if you’re going for convenience, you can also just use bagged, frozen veggies from the grocery store. This recipe doesn’t use traditional cream, but rather coconut cream, but very little. 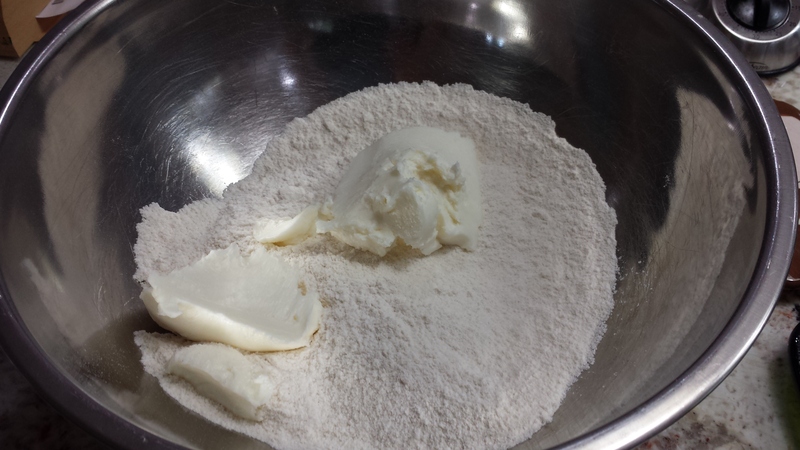 The “creaminess” come from making a “roux” first. 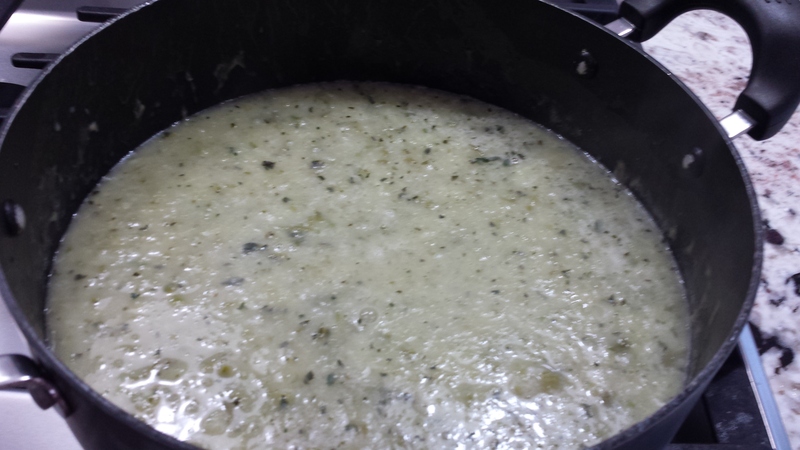 A real roux involves butter, onion, and wheat flour. 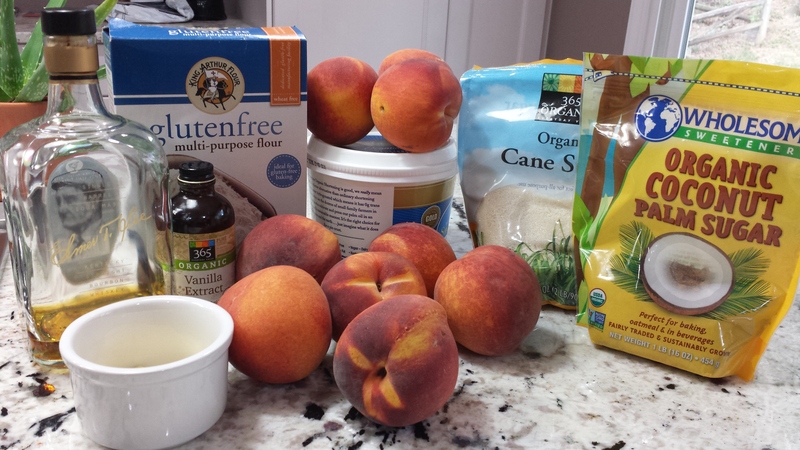 To make this gluten-free, just substitute with a thickener like tapioca flour or potato starch. While I made this with tapioca flour (and it worked just fine), in the future I’d make it with potato starch. 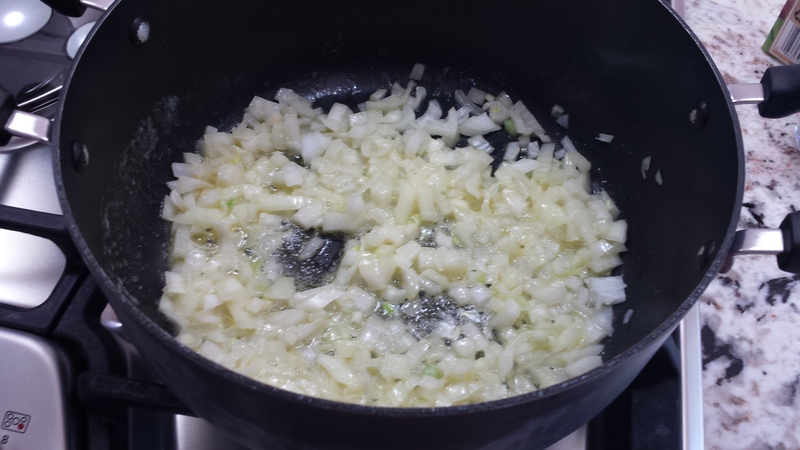 In a stock pot, over medium heat, melt the butter and add the diced onion, cooking until the onion is tender (about 7-8 minutes). Add the tapioca flour or potato starch and stir until combined. 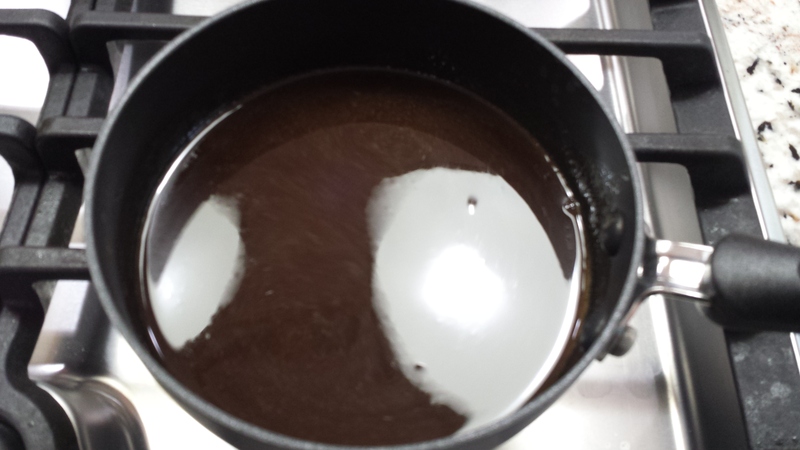 Next, add 1 c. of water and whisk the mixture while bringing it to a boil over high heat. 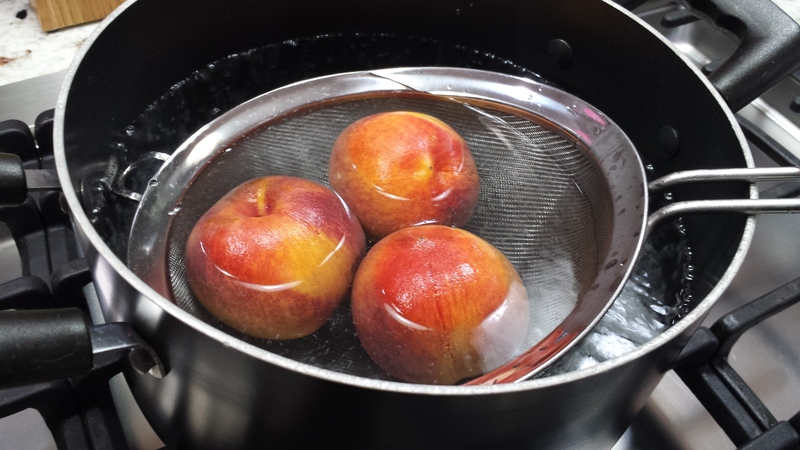 Once it’s started to boil, reduce the heat to a simmer. Add the broth, and cook for about 10 minutes, stirring occasionally. 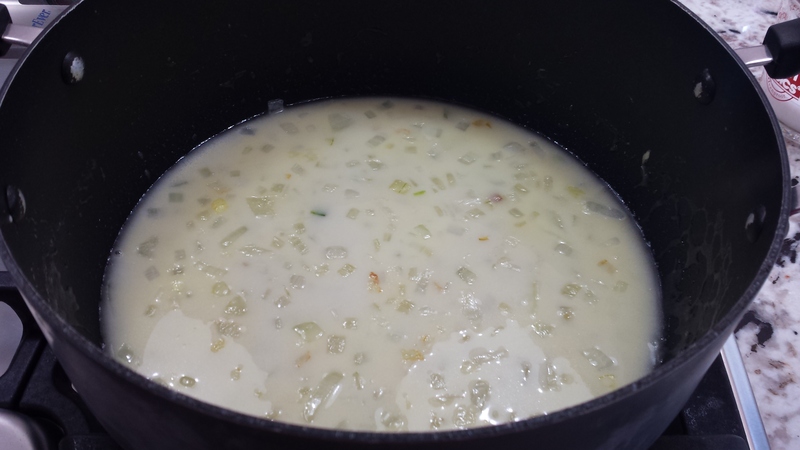 Note, if you want super creamy soup, keep simmering the stock until the volume has reduced by about one third. Before adding the broccoli and cauliflower pieces, make sure there are no bigger than about 1 inch. Add the broccoli and cauliflower pieces to the stock pot and simmer until the broccoli and cauliflower are tender – about 20 minutes. Here’s where you should add salt and pepper – to your liking of course. Okay, here comes the messy part. 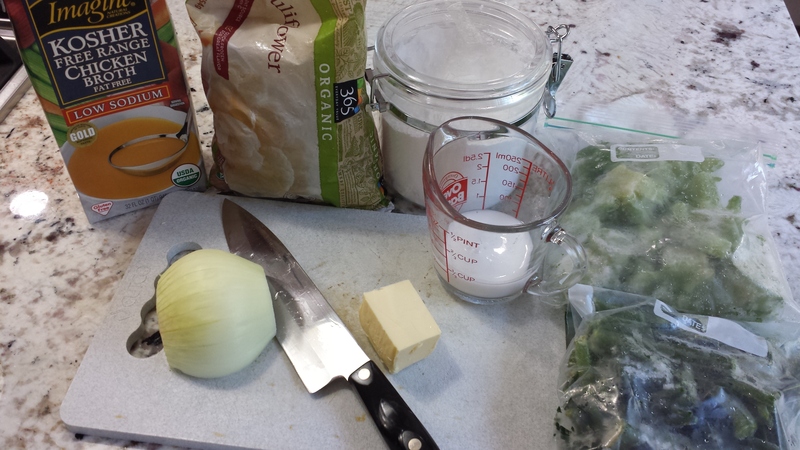 In batches, pour the soup into a food processor and blend. The picture below is after one blending. 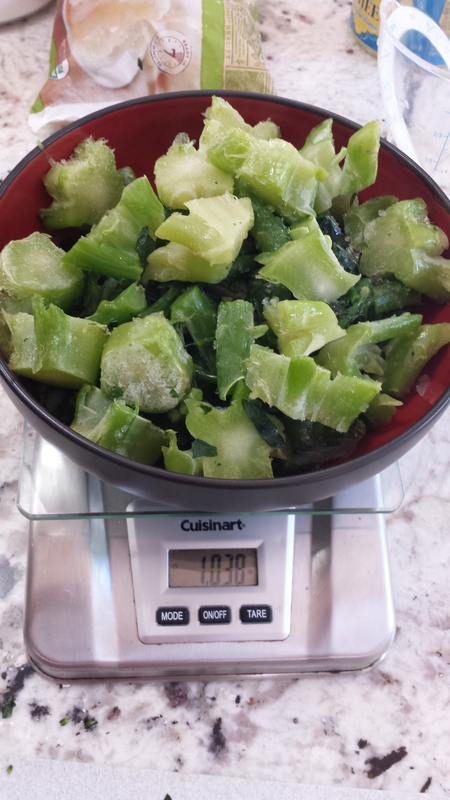 I had to do this twice to get my desired consistency – I didn’t want big chucks of broccoli in my soup. Now to enjoy the taste of success! A few things to note here. This recipe can be easily made vegan – use a vegan “chicken” boullion or just use vegetable stock. 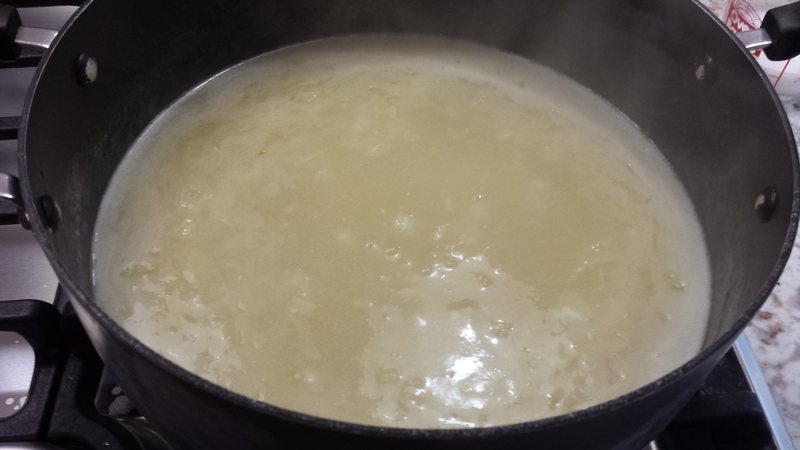 For the butter, substitute with olive oil or sesame oil to make your “roux”. 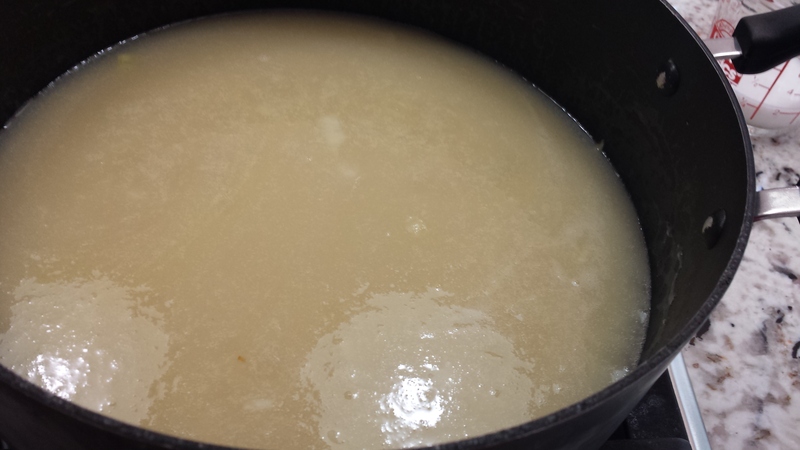 When using tapioca starch as a thickener, you need to be mindful of temperature and boiling. In this sense, potato starch is much more forgiving. Also, after cooling and reheating, potato starch just holds up better with less separation. 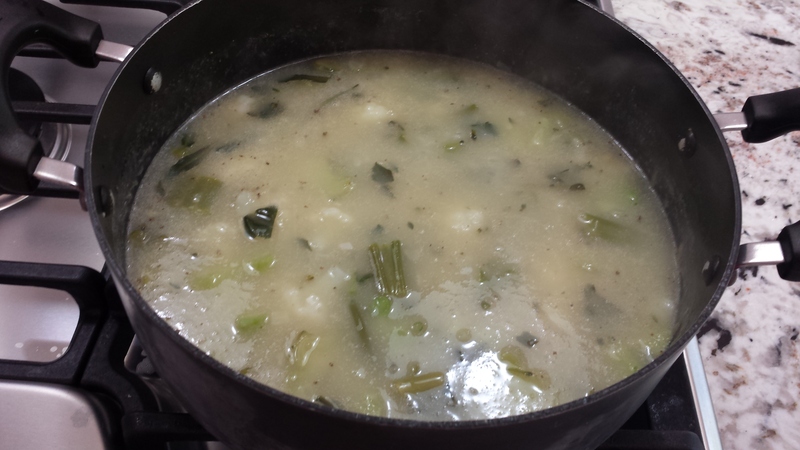 This entry was posted in appetizer, soup, vegetables and tagged broccoli, broccoli rabe, cauliflower, coconut cream, dairy-free, food processor, gluten free, paleo-friendly, roux, soup, vegan friendly. Bookmark the permalink.